There’s a reason why a paracord has been around since World War II: it simply works. Originally used for parachutes, the paracord has evolved into many functions and uses. Since paracords are made of nylon, they are elastic and can stand against pressure and force. A paracord is comprised of 7 smaller, interwoven strands that you can take apart and use for additional cordage. There’s a lot of paracords available in the market but the aptly named 550 (Type III) cord is the most common and has a minimum tensile strength of 550 lb. Paracords are easy to carry around. In fact, they could be easily woven into bracelets and can be “released” or unraveled when the need arises. They can also be woven into bags, belts, and lanyards that you can use to carry around other things. Your paracord would be ten times more useful if you know how to tie knots with it. It may sound simple and basic, but you don’t want to end up in a situation where you can’t come up with a good knot when you needed one. With your sturdy paracord, you can practice tying reliable knots for survival and everyday use. Paracords are extremely useful in making shelter. You can use it to lash pieces of wood and tarp together to build shelters like an A-frame or a basic lean-to. Paracords are essential in constructing tarp shelters. Find out more about tarp shelters in this article. 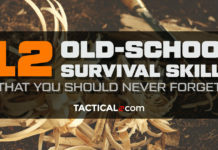 In situations where you find your matches soaked or your firestarters gone, you can use your paracord to make a primitive bow drill and start a fire from scratch. There’s a lot of medical uses for your paracord— from ID bracelets to sutures. In emergency situations, for example, excessive bleeding can cost a life. Your paracord can be used as an emergency tourniquet, slowing the flow of blood from a wound until help arrives. In cases of sprains and even fractures, you can also use it to make temporary splints to immobilize a body part and prevent further damage. Using the inner strands of your paracord, you can make a pretty effective survival fishing lure. This is very useful when you’re having a hard time catching live bait. Need to hunt game? You can also weave it into a net to catch game, or use it to make a survival bow. Setting up snares is also easier if you have a paracord handy. Once you’ve made the catch you can go ahead and tie the animal up with your paracord, too. You can also whip up your paracord to carry multiple things all in one go. Get a better grip on your knife or axe handles by making a wrap from a paracord. A better grip means better movement, dexterity, and comfort when using your tools. There are tons more things you can do with a paracord. If you don’t have it yet, then it’s high time you got yourself one. No prepper should be without a paracord! They also now come in all shapes and sizes and can be easily worn as bracelets, straps, belts or even as a shoelace. 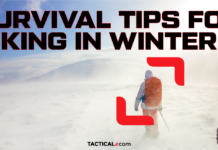 Like any other survival tool, the more you practice with it, the more confident you’ll become in using that paracord for your ever-changing needs.